NUTCRACKERS AND SMOKERS ARE NONRETURNABLE. Originally handcrafted in Germany, these collectibles are vintage and second market products in very good to excellent condition. Some are Signed and/or Limited Editions. In most cases they are no longer in production or an early version model. Please view photos carefully and contact us if you have questions before making a purchase. CHRISTMAS PYRAMIDS AND CANDLE HOLDERS are newly handcrafted from Germany and may be returned within the first 10 days of purchase IF DEFECTIVE for a replacment. All return and replacment shipping costs incurred will be the responsiblity of the buyer. CUCKOO CLOCKS are newly handcrafted from the Black Forest of Germany and carry a 2-year warranty on mechanical parts from date of purchase. All return or warranty replacment shipping costs incurred will be the responsibility of the buyer. GENERAL PRODUCTS & MERCHANDISE. Most products are hand-made by local OHIO vendors and sold on consignment. All general merchandise sales are final. If a product is defective it may be returned within 10 days for a replacement of the same or greater value with original receipt. All return and replacment shipping costs incurred will be the responsiblity of the buyer. All orders are shipped FedEx Ground or USPS. Please allow 5-7 days for delivery after placing your order. We will contact you to confirm your order and arrange shipping details after placing your order online. Please contact us with questions or if you'd like to expedite your shipping option. We collect user provided information. Information is collected through the use of web forms including but not limited to contact forms, sign up forms and checkout forms. User information collected for example would be names, email addresses and phone numbers. If you make a purchase through our website payments are processed through a trusted third party encrypted gateway. 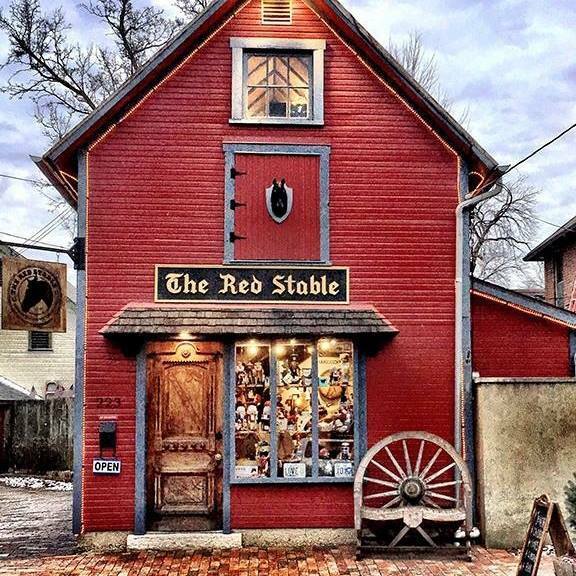 The Red Stable does not collect and store credit card information. All payment details are handled by the secure third party processor. Your use of the website is at your own risk. Use of this website constitutes a consent to our terms and conditions.